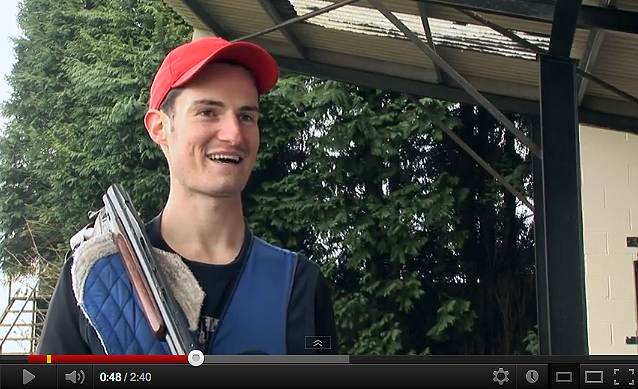 Team leader, Phil Scanlan, travelled with the team from Bisley shooting ground, and described the sense of excitement. He said: ?Things really are starting now, and it?s an incredible feeling that it?s finally here and we are all together as a team.? ?Now the athletes just can?t wait to get on to the range at Woolwich and get ready for the competition.? ?Everyone is fit and healthy and in good spirits, so I?m feeling very confident as we travel towards the capital.? As is traditional, shooting will award the first gold medal of the Games on Saturday in the women?s 10m air rifle. However, the highlight for many will be the men?s double-trap competition on Thursday, 2 August, in which world number two Peter Wilson from Dorset has realistic hopes of a medal. Peter said: ?I hope the main legacy of the Games is that people start to have a positive outlook on shooting. Woolwich is a great spot to have the event ? people can get there easily and watch it in a positive environment. ?